Are you jet-setting off overseas for your hen party? Magaluf? Zakynthos? The famous Ibiza? 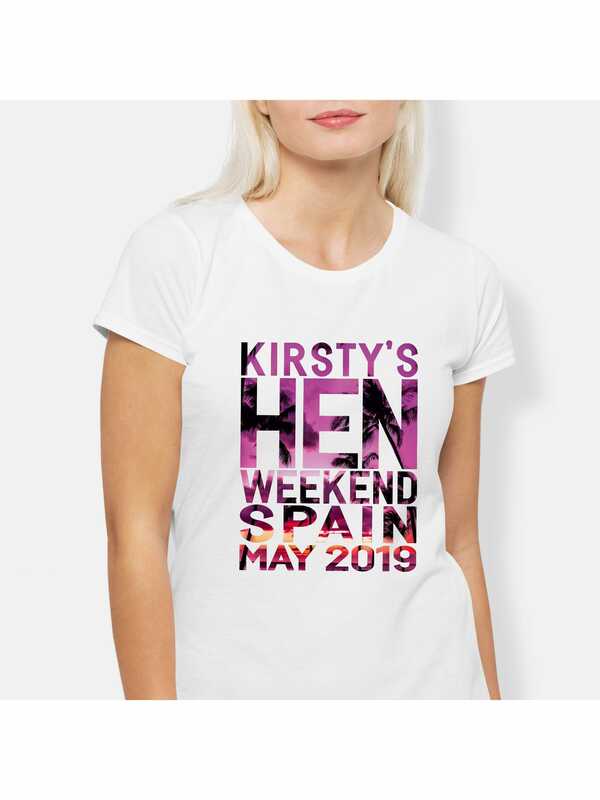 For a sunny destination with palm trees, beach sand, cool waters, and amazing sunsets, you will need this stunning t-shirt design, if only to keep as a memento of the hen do. Select from a choice of styles, colours, and sizes, add your personalisation details, finalise your order, and we will take care of the rest. Showing our 2 Hen Party Superstore Sunset Hen Party Personalised T-Shirts reviews with an average rating of Excellent. Would you like to write a review?